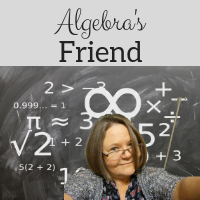 Algebra's Friend: #MTBoSBlaugust Why use card sorts? Two sorts included! #MTBoSBlaugust Why use card sorts? Two sorts included! 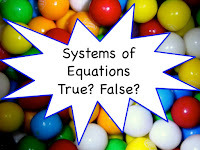 I originally wrote a post on card sorts in math class in July 2013. It has had maybe the most hits of any of my posts! I reposted that post in July 2014 ... and again, it had a lot of traffic. This is not a repost! 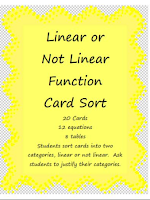 In previous posts about card sorts, I included the link to this popular one comparing Linear vs NonLinear Functions. In the last few week's Desmos has released it's addition to the Activity Builder. It is easy now to create card sorts online. I LOVE this feature! Copying, cutting, losing cards are now a thing of the past! It takes very little time to create the online card sort. Tip: Create your cards in PowerPoint so that you can add visual appeal using design and color. Use the "Save as Pictures" feature which will automatically save each slide as a jpeg. Then you can simply add images in the Desmos Activity Builder ... and your cards will look spectacular! 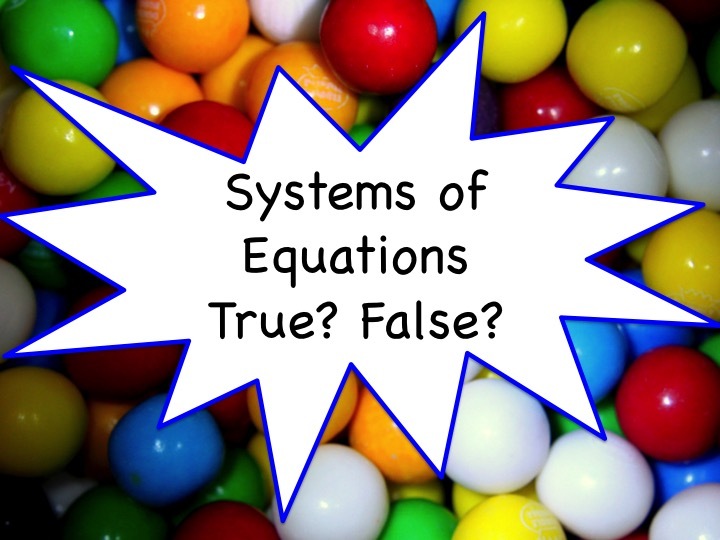 I created a quick sample on true false statements about systems of equations. You can find the simple activity here. It would make a good pre-test to see what students already know or a quick formative assessment after an introductory lesson. The actual pictures are at this link ... in case you want to create paper copies. 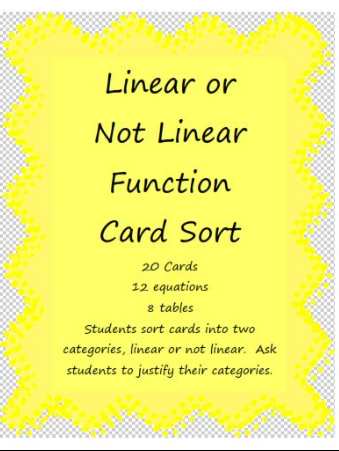 Card sorts are one of my favorite warm-up or opening activities because students can get started while I finish up those annoying administrative tasks, immediately talking math! Thank you for sharing the great tip about saving the ppt slides as images. I have made a few of may paper card sorts into Desmos card sorts. Your recommendation will make it much easier. I find fun backgrounds at Pixabay and Pexels ... both photos with creative commons CC0 licensing. I was leading a workshop just last week - introducing the card sort without having played with it. The first thing we noticed was the cards we were making were washed out. Using colorful images helps a lot! Exactly! They get into it! And the math conversations are amazing! Great tip! I had no idea that you could save them in PPT like that! Thank you!!! Glad the tip helps! Saving slides as pictures makes a lot of creative work easier!